It's been a contentious awards season, and the big one is almost here: The 90th Academy Awards are less than two months away. Nominations for the Oscars were announced Tuesday morning and "The Shape of Water" picked up a whopping 13 nods, including nominations in nearly all of the major categories. "Dunkirk" and "Three Billboards Outside Ebbing, Missouri" followed with eight and seven nominations, respectively. Lauren Zima from ET Online and Grae Drake, senior editor of Rotten Tomatoes, were on CBSN to discuss the nominations and share their thoughts on the Oscars race; Drake was especially disappointed that "The Big Sick" was not nominated for best picture, but both Zima and Drake pointed out that the Oscars best director race is more inclusive than that of the Golden Globes or other awards shows this season. Greta Gerwig and Jordan Peele, who were snubbed by the Globes and BAFTAs, were both nominated for Oscars for best director. Academy president John Bailey opened the event and introduced announcers Tiffany Haddish of "Girls Trip" and Andy Serkis of "Lord of the Rings." Keeping the awards season spirit of focusing on women, each category kicked off with corresponding clips of actresses like Salma Hayek, Michelle Yeoh and Rebel Wilson. Octavia Spencer on "The Shape of Water": "I knew it would be magical"
Haddish and Serkis announced the nominees for the 24 Oscar categories from the Samuel Goldwyn Theater in Beverly Hills, California. Haddish said she was going to put watching "Dunkirk" on her to-do list. 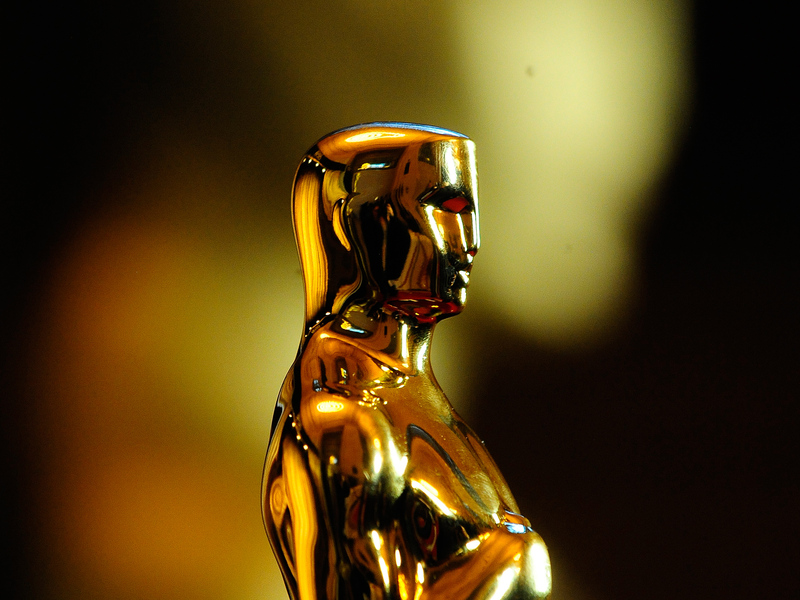 The Academy Awards will take place at the Dolby Theatre in Hollywood on March 4. Jimmy Kimmel will host the show. Emily V. Gordon and Kumail Nanjiani, "The Big Sick"
Guillermo del Toro and Vanessa Taylor, "The Shape of Water"
Scott Neustadter and Michael H. Weber, "The Disaster Artist"
Scott Frank, James Mangold and Michael Green, "Logan"
Virgil Williams and Dee Rees, "Mudbound"